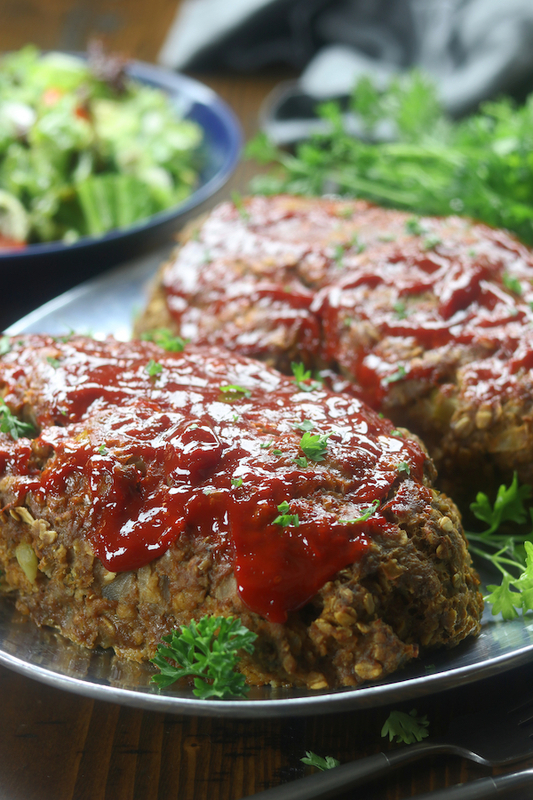 Mom’s Classic Meatloaf recipe creates a moist, melt in your mouth family favorite dinner. 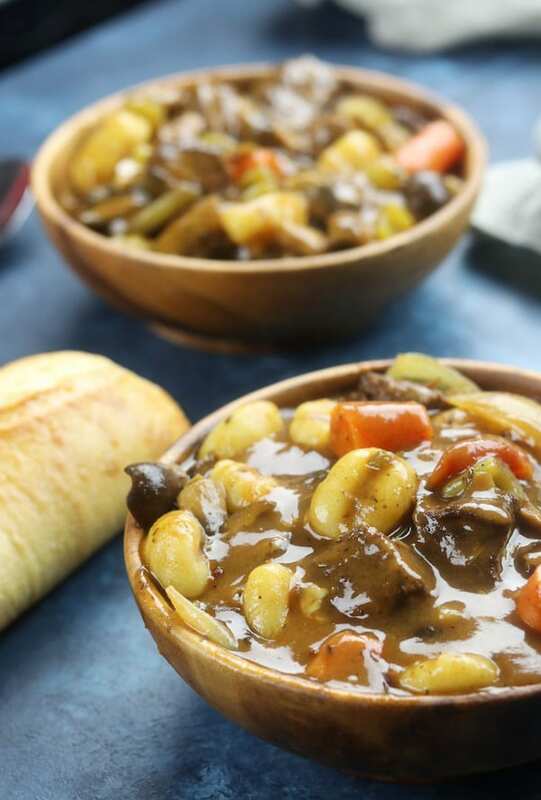 So flavorful, with tender sautéed onions and celery. This traditional meatloaf is made with simple ingredients and yet feels gourmet. My husband was shocked the first time I made him meatloaf. He literally thought he would never see the day that I would make a traditional meatloaf recipe for dinner. For the longest time I made loads of Mexican and Italian cuisine with a ton of fancy salads thrown into the mix for our dinners. It never even crossed my mind that a Classic Meatloaf would make him so happy. 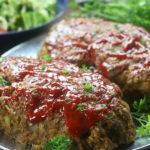 To me, meatloaf with ketchup was a budget friendly meal that was often in our weekly meal rotation growing up. Nothing special and when you are newly married you want everything you do for your significant other to be special. Luckily, like so many of the meals my mom made, I have her approach burned into my memory. So when a dear friend requested this for her birthday dinner, I got to see first hand my husband’s love for meatloaf. He was a man on a mission and enjoying his plate was serious business. When he finally came up for air he shared with me how surprised he was that I not only made meatloaf, but it was the best he had ever had. Since this revelation I have tried to put it back into our menu often and interestingly enough, I have grown to really love it too. Honestly, we both love it so much that I always have to make a double batch so we can make meatloaf sandwiches with the leftovers. First and foremost, making meatloaf with oatmeal is just incredibly economical. 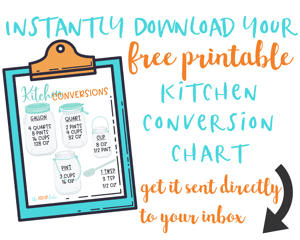 If you are on a budget, this one step can really help expand the food budget. Usually you can find oatmeal at it’s most affordable price by purchasing it in the bulk section at many healthy food stores. Just make sure to buy a gluten-free version for those who have gluten-free needs. Pro Tip: Oatmeal is a naturally occurring gluten-free food. However, with modern day planting methods often oatmeal crops can be grown on land previously used to grow wheat. This can inadvertently cross contaminate the oatmeal crops with trace amounts of gluten. For celiacs, eating even small amounts of gluten can be very dangerous. 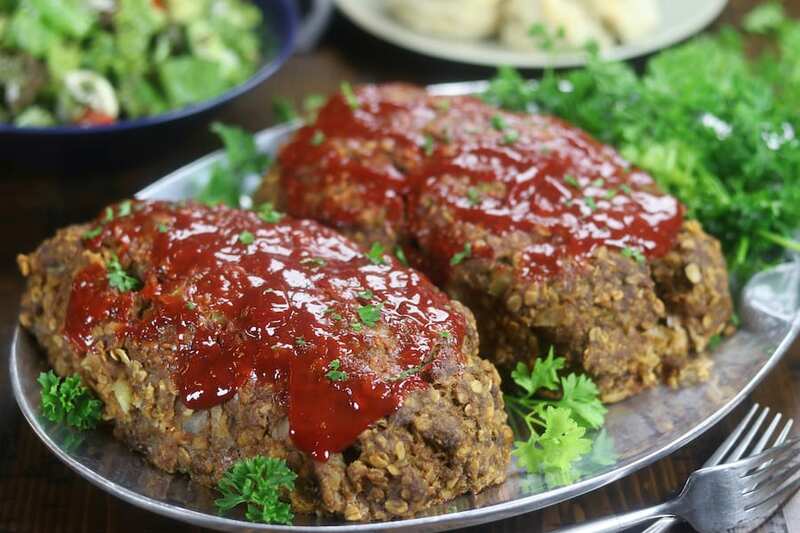 The second reason to make meatloaf with oatmeal, oatmeal is an extremely wholesome food to eat. Check out 9 Health Benefits to Eating Oats for total inspiration to include oatmeal into your breakfast rotation. Lastly, the texture and taste of using oatmeal in meatloaf is very appealing. Since oats are very neutral tasting, aside from the ever so slightly nutty flavor, they work well with the savory flavors of the aromatics. 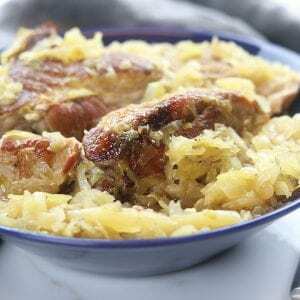 The oats, along with the egg, also help to bind the meatloaf together. 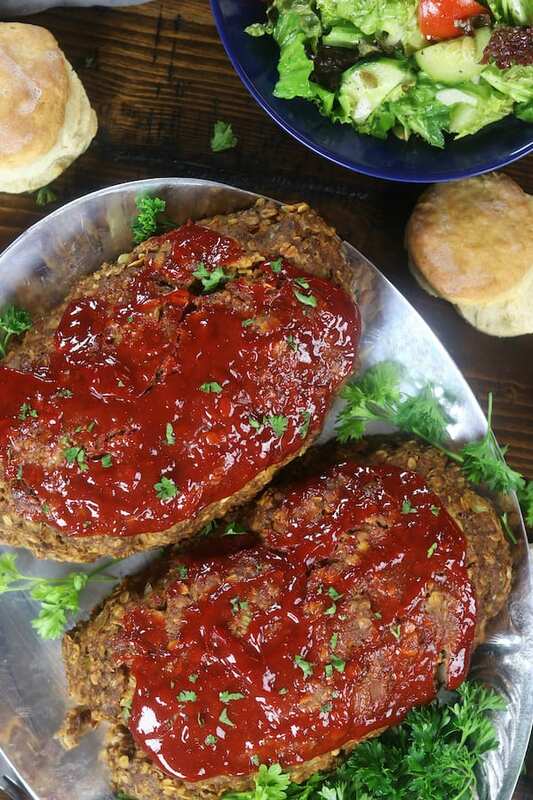 Why do you use both ketchup and tomato paste in this meatloaf recipe? Very simply, because it creates layers of flavor by doing so. Ketchup adds a sweeter layer of flavor and tomato paste adds a deep rich flavor. My biggest recommendation to avoid waste is to use this type and store it the refrigerator. Most recipes call for a small amount of Worcestershire sauce. Will this add too much sodium? No, for most people it will be perfectly fine. Many meatloaf recipes call for salt or bouillon to be add to the meat mixture. 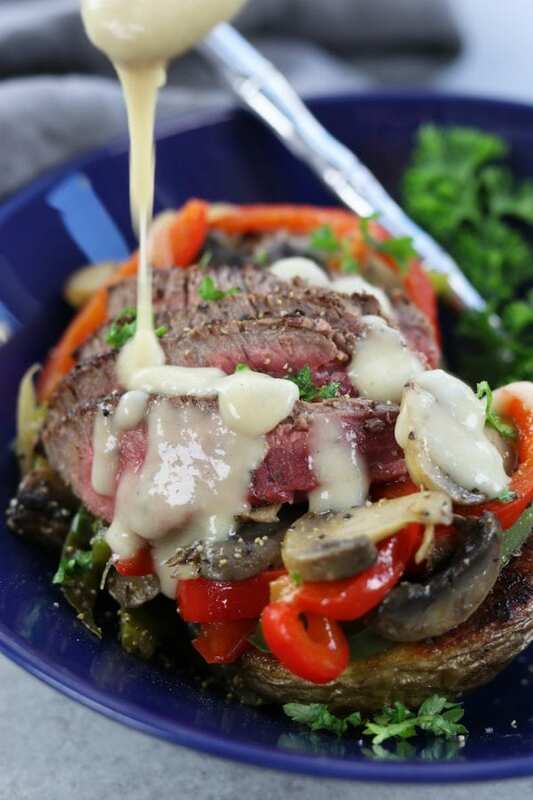 This recipe circumvents that use of those ingredients and instead focuses on the savory tang that comes from just using Worcestershire sauce. Where can I find a gluten-free Worcestershire sauce? I am a big fan of using organic Worcestershire sauce but the challenge is that those brands are often not gluten-free. To my knowledge, this is the most easily accessible gluten-free brand. I have never heard of marjoram. What is that? Let me just say that I love cooking with marjoram, especially for beef and chicken dishes. Marjoram is an herb that is in the same family as oregano and mint, however it is much more delicate than these two herbs. 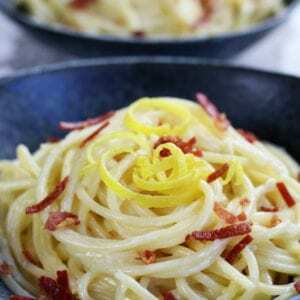 It tends to pair extremely well with thyme and helps to marry the flavors of many meat dishes. 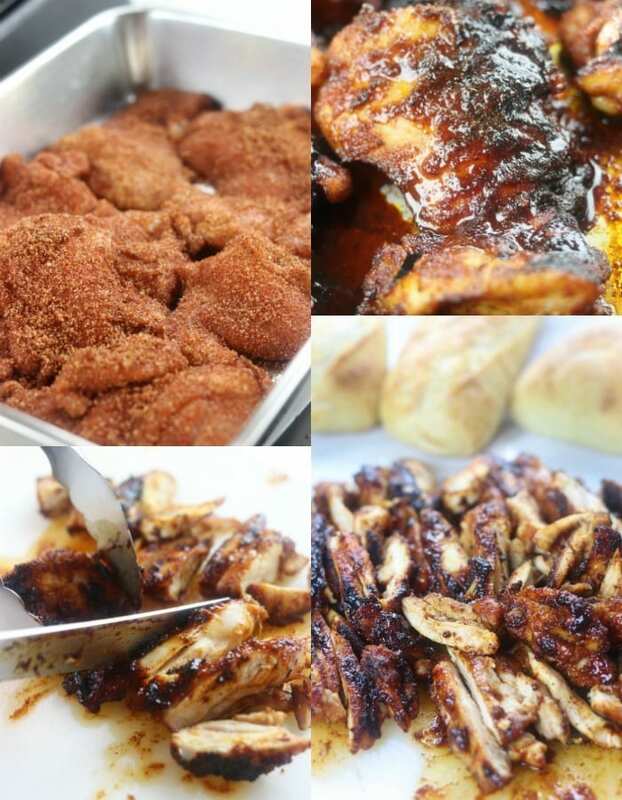 So tender and melt in your mouth! This classic meatloaf recipe lends an extra layer of flavor by sautéing the onions and celery with the herbs. My family loves this so much that I ALWAYS make a double batch to use the leftovers for meatloaf sandwiches. Place a medium sized skillet over med/high heat. Add oil and diced onion. Sauté until sweating, about 3-4 mins. Add diced celery and continue sautéing until celery starts to become tender, about 5 mins. Add herbs the last 2 mins of sautéing. 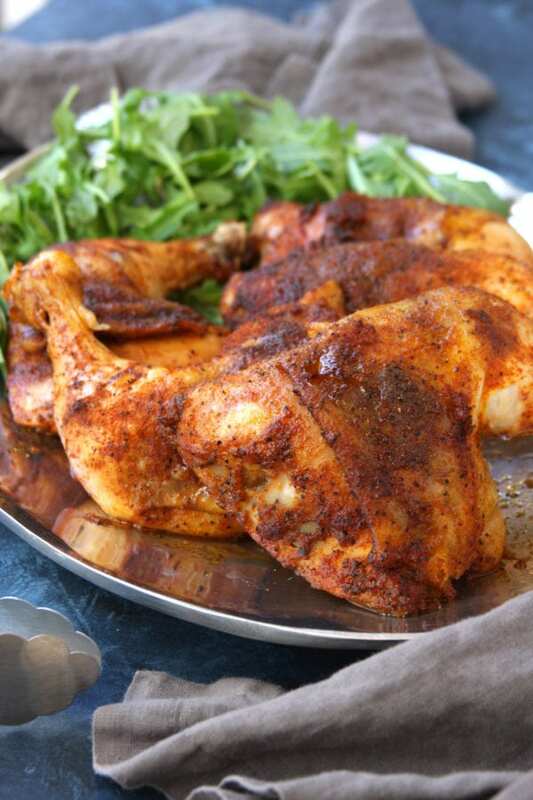 This step helps to release the oils in the herbs, making them fragrant and helping to marry the flavors. Once sautéing is completed place onion/celery mixture into large mixing bowl and let cool to a mild warmth. This will take about 5-7 mins. Preheat oven to 350℉. Line a large sided cookie sheet with parchment paper and set aside. Add remaining ingredients to large mixing bowl with the exception of 1/4 cup ketchup for topping. With clean hands mix until evenly combined. Form into a log and place on cookie with parchment paper. Evenly spread remaining ketchup over top of form meatloaf and bake for 45- 50 mins. 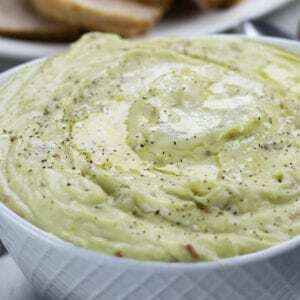 Tastes wonderful with a garden salad, Baked Potatoes and Best Ever Biscuits. This meatloaf has me drooling–and I haven’t even had coffee yet. 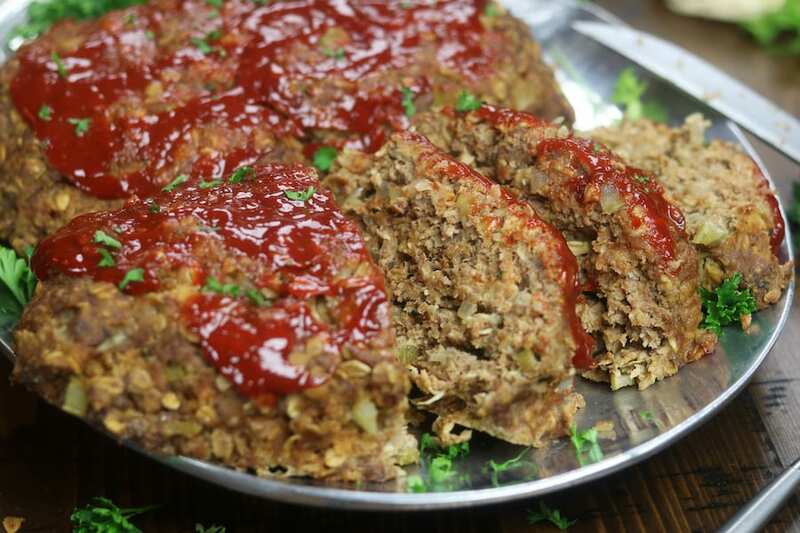 But the simple flavors in this meatloaf are perfect and I adore that this is gluten-free. Thank you Kristen! I just think it is the power of meatloaf general. ??? ?